Meena Khalkho was a tribal girl from the Maoist belt on the Chhattisgarh-Jharkhand border. She had to leave school when she was ten, so that she could graze cattle and support her family. Five years later, in July 2011, Meena was shot dead by the police, who said she was a Maoist. A judicial inquiry, however, concluded that Meena was not a Maoist and that she was killed in a fake encounter. Among those who fought to bring justice to Meena was activist Sudha Bharadwaj. 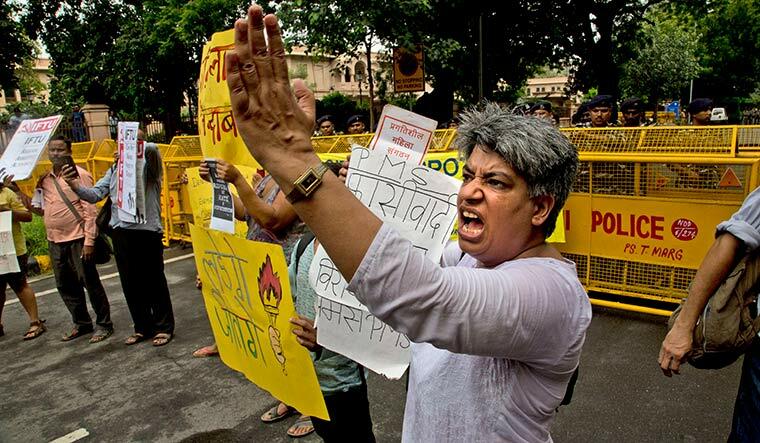 Today, 57-year-old Bharadwaj is not allowed to step outside her own house. She is one of the five human rights activists who have been placed under ‘’house arrest’’ after the Pune police on August 28 raided the homes of many such people seen as Maoist supporters. They arrested Bharadwaj in Faridabad, Varavara Rao in Hyderabad, Gautam Navlakha in Delhi, and Vernon Gonsalves and Arun Ferreira in Mumbai. While Rao is a renowned poet and writer who founded the Revolutionary Writers’ Association and has been arrested several times in the past, Navlakha is a former journalist and a member of the People’s Union for Democratic Rights. Mumbai-based Gonsalves is a professor, while Ferreira is a lawyer. Both have spent several years in jail after being arrested by the Maharashtra Police in 2007 for alleged Maoist links. The Pune police have branded all five as “urban Maoists’’, sparking a nationwide debate on what the nomenclature stands for. The Supreme Court ordered the five be kept under house arrest till September 6. Outside the front door of Bharadwaj’s flat in Faridabad hangs a small wooden plate which reads “home sweet home’’. Inside, she has managed to win the hearts of the policewomen. She begins her day by making tea for them. In the two-bedroom house, the room with the air conditioner and television has been given to the cops. “Sudha has always been kind and generous. I have known her from 1986 when my mother used to teach her,’’ said Smita Gupta, an economist and activist who lives in Delhi’s Jawaharlal Nehru University with her husband, a professor. To fight legal battles for the poor, Bharadwaj took a law degree in 2000 and set up a lawyers’ group called Janhit to provide them legal aid. Since 2016, Bharadwaj has been fighting for the villagers of Ghatbarra where the Chhattisgarh government has cancelled the community rights of tribals to facilitate coal mining by the Adani group. Janhit has taken the issue to the High Court. “She has lived with us and for us,” said 50-year-old Kaladas Dehariya, factory worker and a member of the Chhattisgarh Mukti Morcha. “We can’t leave her alone when she has been charged with something that we can’t imagine that she can even think of,” said Kaladas. But, successive governments in Delhi felt otherwise. In December 2012, the Manmohan Singh government identified 128 organisations with linkages to the CPI (Maoist) and wrote to all states to take action against people involved with these organisations. Bharadwaj, Rao, Ferreira and Gonsalves have been on the list along with Mahesh Raut, Surendra Gadling and Rona Wilson. The last three and Sudhir Dhawale and Shoma Sen were arrested in June. The crackdown came after the Maharashtra Police claimed that the “urban Maoists’’ were plotting to kill Prime Minister Narendra Modi. A secret note prepared by the police said the Maoists wanted concrete steps to end the “Modi Raj in some Rajiv Gandhi type incident by targeting his road shows”. It alleged that the five activists arrested in August were guiding frontal organisations of the CPI (Maoist). 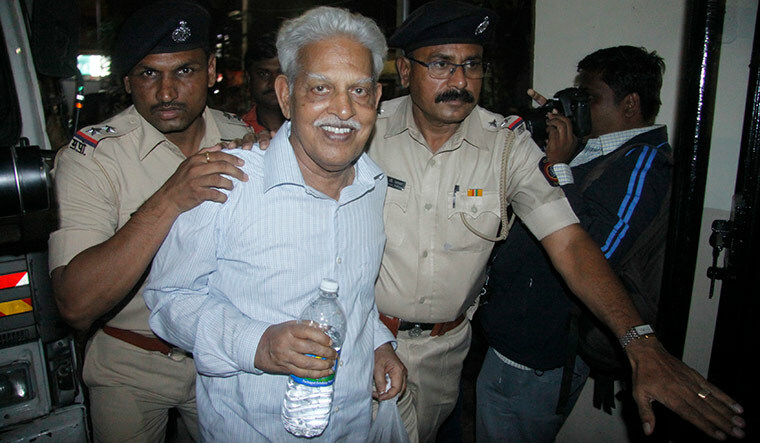 The police said Rao played a critical role in maintaining communication with the Maoist leadership, while Gonsalves and Ferreira were instrumental in radicalising students. Bharadwaj and Gadling were said to be facilitating “communication between overground and underground comrades”. Clifton D’Rozario, Karnataka state secretary of the CPI(ML), said the activists had been working for the rights of people who were caught in the crossfire between the security forces and the Maoists. “In the name of fighting Maoists, the security forces have launched extreme brutalities on the adivasis. Today, to save the interests of the corporates, the government is coming down on the activists with an iron hand,’’ said Rosario. Madhuresh, national convener of the National Alliance of People’s Movements, said the crackdown had to be seen in the context of what happened over the past four years. “Artists, writers and intellectuals returned their national awards, then the JNU protests took place and all the dissenting voices were termed anti-national. Then there was an attempt to portray them as close to the Pakistan lobby, which was instigating unrest in the country. When all these narratives failed, they are being called urban Naxalites,’’ he said. Ferreira’s family in Mumbai is quiet. His wife, mother and 13-year-old child are traumatised. Gonsalves’s wife, Susan Abraham, an activist, is meeting lawyers to defend her husband. Security agencies had filed 19 cases against him in 2007, and he spent five years and ten months in prison, before he was acquitted in 17 of those cases. His son Sagar said in the other case, he was arrested from near his house with a Sunday shopping list, but was shown as arrested from 40km away with a gun. “The matter is pending in court,” he said. In Delhi, Navlakha’s friends said it was a travesty of justice to arrest someone like him who fought for human rights not only in India, but also in Pakistan. “He sold his posh bungalow in Greater Kailash and shifted to a smaller house in Nehru Enclave. He used all his money to work for the people,” said M.J. Vijayan, national general secretary of the Pakistan-India People’s Forum for Peace and Democracy. 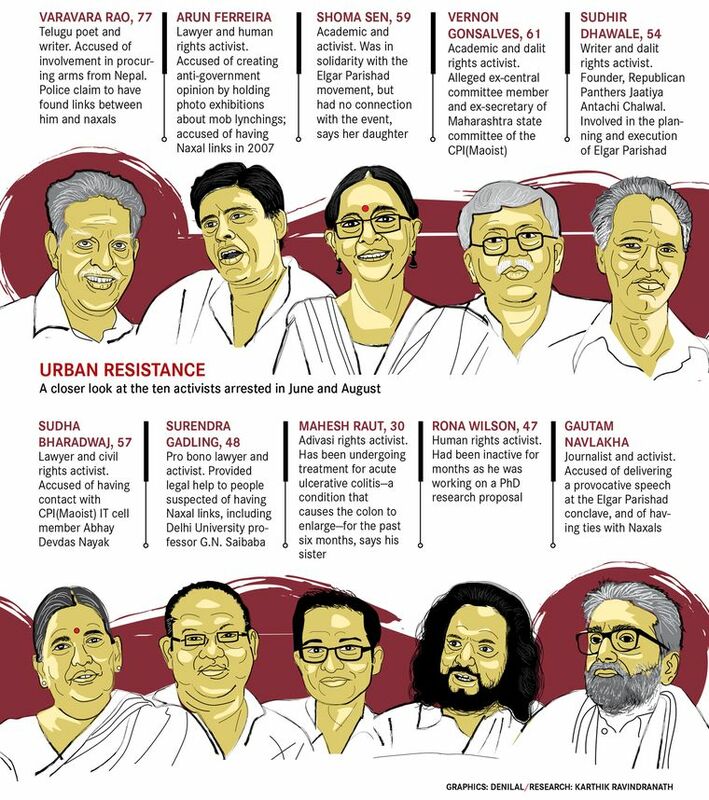 The Pune police have got 90 more days to file the charge-sheet against the five activists arrested in June. Those arrests came after the police alleged that the Elgar Parishad conclave held in Pune on December 31 last year had Maoist links. A first information report was registered on January 8, based on a complaint filed by Tushar Damgude, a businessman, who claimed that he had read on Facebook about the event. In the FIR, which was filed in Marathi, Damgude alleged that the speakers incited communal tension and provoked the crowd to become violent to defend dalit rights, which led to clashes between dalits and Marathas in Bhima-Koregaon village the next day. It, however, does not contain the names of either the five activists arrested in June or the five arrested in August. Mumbai lawyer Mihir Desai said the Supreme Court had in 2011 ruled in the Arup Bhuyan vs State of Assam case that mere membership of a banned organisation would not make a person a criminal unless he resorted to or incited people to violence. Desai said it would be an uphill task for the police to link the accused with definite “acts of violence’’ while filing the charge-sheets.